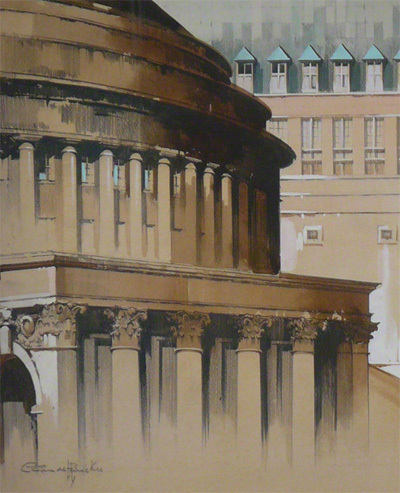 This painting fragment is being used to illustrate the water colour painting of buildings. 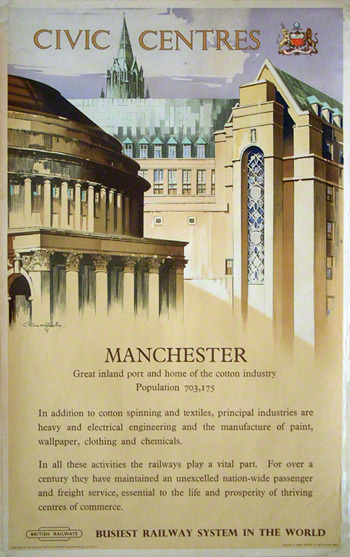 It is taken from the artwork of Manchester Civic Centre which was done for the railway poster. Claude Buckle painted this in water colour just post 2nd world war. Created in 1947. This is the complete poster for the artwork above.